The St. Thomas Missionary Baptist Church will celebrate 50 (Golden) years Church Anniversary Celebration, 7:00 PM Nightly; July 26-28, 2017 with various churches in charge of Worship. The Celebration will culminate on Sunday, July 30th at 4:00 PM with Bishop Dr. Norris E. Darden and the New Generation Baptist Church family. Bishop Norris Darden was born in San Antonio, Texas to Norris Darden, Sr. and Abra E. Green. In December 1979 he accepted his call to preach the gospel and in 1986 he was ordained a Baptist Minister at Bennett Union Missionary Baptist Church in Jesup, Georgia. Norris joined the army in January 1983 and he became a Reserve Army Chaplain in 1998. In January 1987 he was called to Pastor of Bethlehem Missionary Baptist Church of Savannah, Georgia. He served as pastor of Bethlehem Baptist Church for seven years. On September 10, 1993 he organized the New Generation Full Gospel Baptist Church in Savannah, Georgia and serves as Senior Pastor while continuing his seminary course work. Under his leadership, the church started the New Generation Institute of Biblical Studies and Theological Seminary in 2000. In 2005 he received a Ph.D. in Christian Education from Covington Theological Seminary. Bishop Darden married the former Lady Joann Glenn January 25, 1986, in Tacoma, Washington. He is the proud father of five children and six grandchildren. Come celebrate with us! St. Thomas is located 1100 East Park Avenue, the Rev. 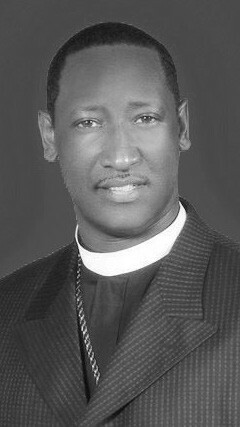 (Chaplain) Jimmie L. Mikell, Pastor.